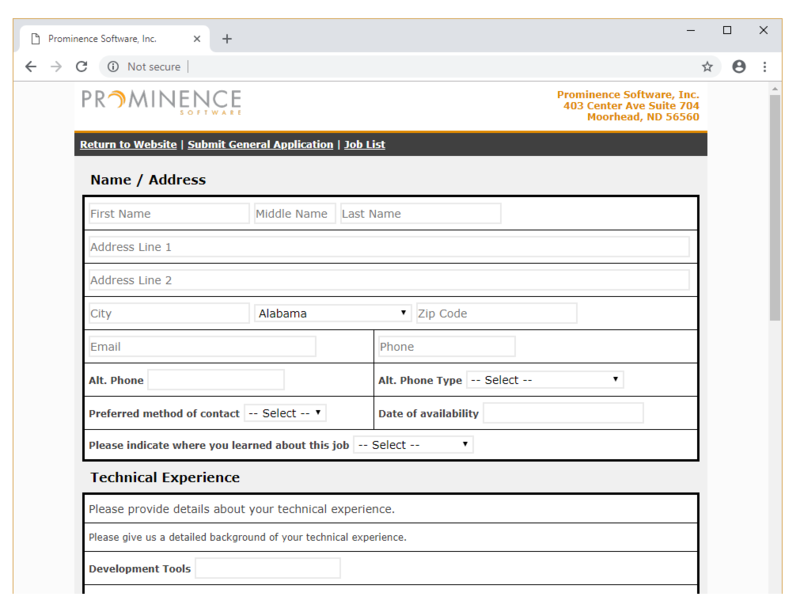 Workforce General allows you to create a customize your job application form to suit your needs. Create a form and ask the relevant questions you need to for qualifying applicants. The application forms provided by Workforce General can be used on multiple device types. Applicants can complete the form using a desktop, laptop, tablet or mobile phone. Your application can be configured with your company's colors and logo. You can allow multiple attachments to be added so applicants can submit resumes, photos, art work or any other types of digital documents.